India Technology Agreements and Forms. Ready for use. Designed specifically for consultants working with technology, either for a specific and isolated project or for on-going services. 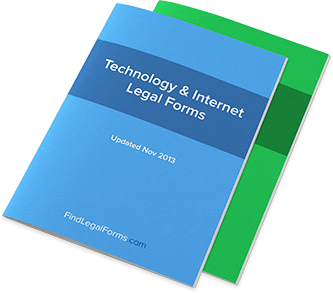 Legal forms designed for the development, alteration, maintenance, sale and protection of software. Specifically designed to license intellectual property and can be tailored to your unique situation. Includes copyright, patent and trademark licenses. Various agreements used for the protection, operation and sale of your websites and website domain names. Custom Software Development Agreement (India) Custom Software Development Agreement for use in India. Domain Name Assignment (India) Assignment of Internet Domain Name for use in India. Website Design Agreement (India) This Website Design Agreement is created for use in India. This form is available for immediate download. Software Licence Termination Agreement (India) This Software Licence Termination Agreement is designed for use in India. This form is available for immediate download. Website Sales Agreement (India) This Website Sales Agreement is for use in India. Protect your rights by documenting the sale of a website in writing. Domain Name Licence Agreement (India) Domain Name Licence Agreement for use in India. Website Affiliate Agreement (India) Website Affiliate Agreement for use in all states and territories of India. Website Affiliate Agreement Amendment (India) This Amendment to Website Affiliate Agreement is designed for use in India. This form is available for immediate download. Website Maintenance Agreement (India) This Website Maintenance Agreement is designed for use in India. This legal form is available for immediate use.